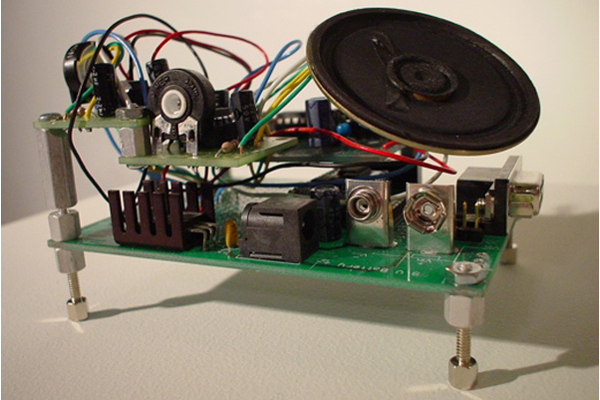 This circuit digitally emulates the crackle and pop artifacts of audio playback of vinyl records on a turntable (spinning at 33.3 RPM.) The elimination of this noise was one reason for the application of digital technologies to sound reproduction. Here this digital technology is dedicated to the attempt of synthesizing the sound it (more or less) exists to not make.